Hello wonderful followers and friends! You can find the link to my BLOG CANDY HERE. A while back and was asked to be a guest designer for this months new challenge starting today. Thank you Ladies for a chance to Guest Design for you! 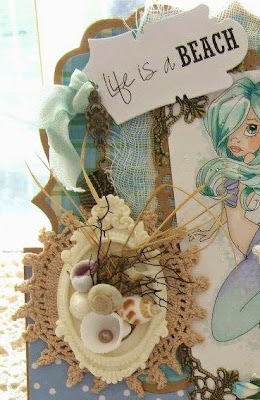 I like image and embellishment. 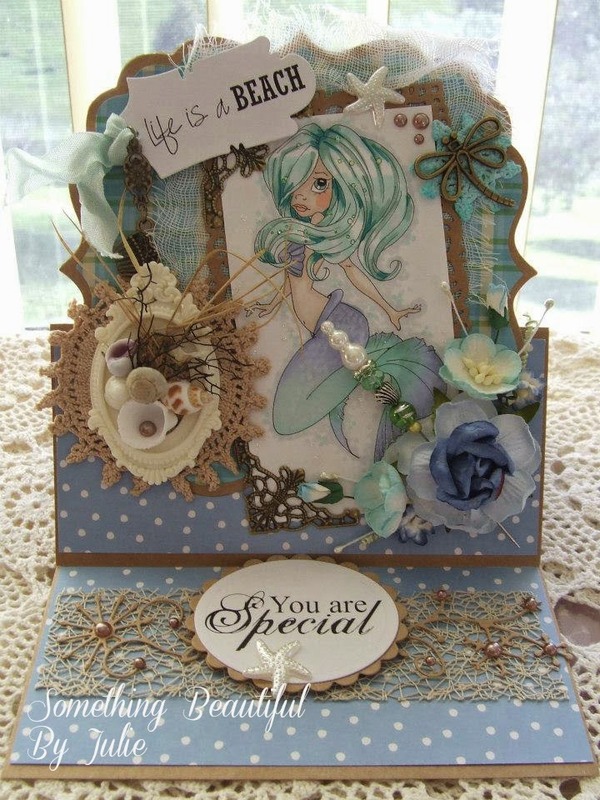 gorgeous Julie so beautiful designed and your card under is beautiful. Fabby looking card. Love the colours. Thanks for playing with us over at the Paper Shelter this week. Wow so delicious! Wonderful colors and so much fine details .. Thank you for participating in the TPS challenge this week! Thanks for sharing with us at Top Tip Tuesday! Absolutely gorgeous!!! She looks amazing and I love the niche of shells and your beautiful handmade stick pin. Thanks for joining our Summer challenge at Top Tip Tuesday. Simply stunning!!! Thanks so much for joining us again at the Hambo Hoedown. 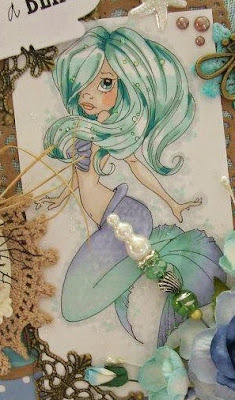 What a pretty card love the colours.